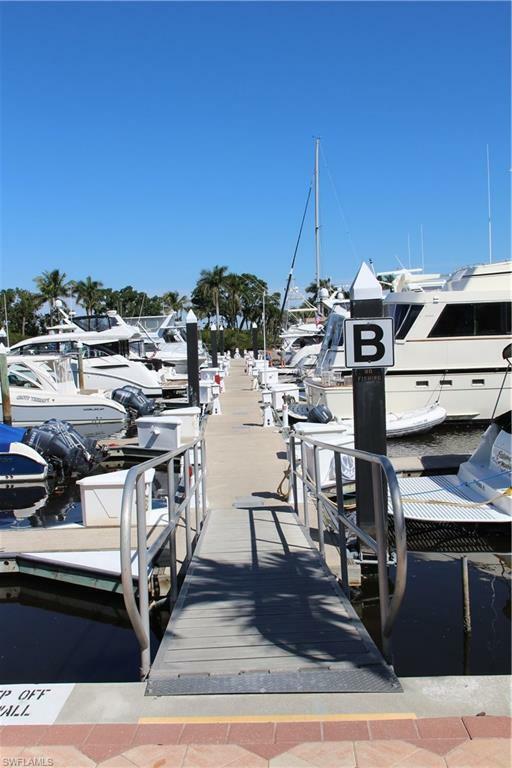 Bring your yacht to the popular B Dock in Gulf Harbour Marina! 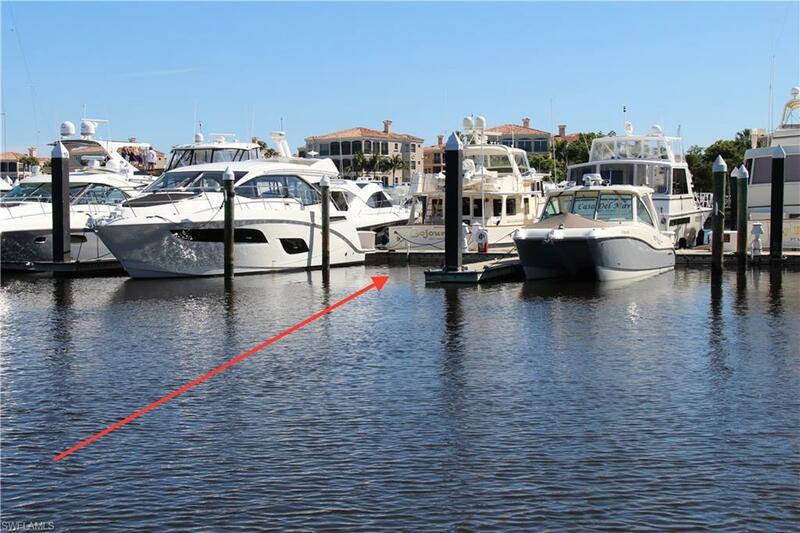 Dock B-20 offers protected dockage along the Intracoastal Waterway on the Caloosahatchee River. Only 30 minutes to the mouth of the River and then you're off to the Gulf of Mexico and Pine Island Sound with world class fishing, beaches of the barrier islands, and popular restaurant destinations. 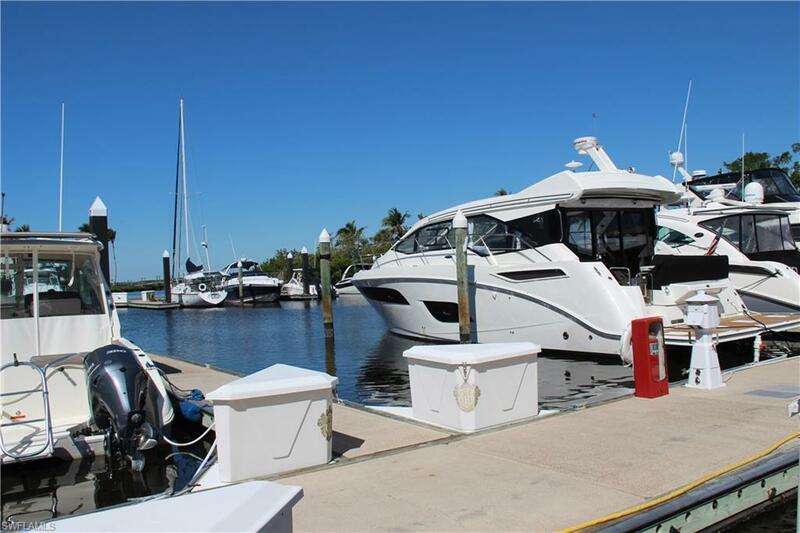 Slip offers portside dockage, with electric, water, and assigned storage box on the dock. 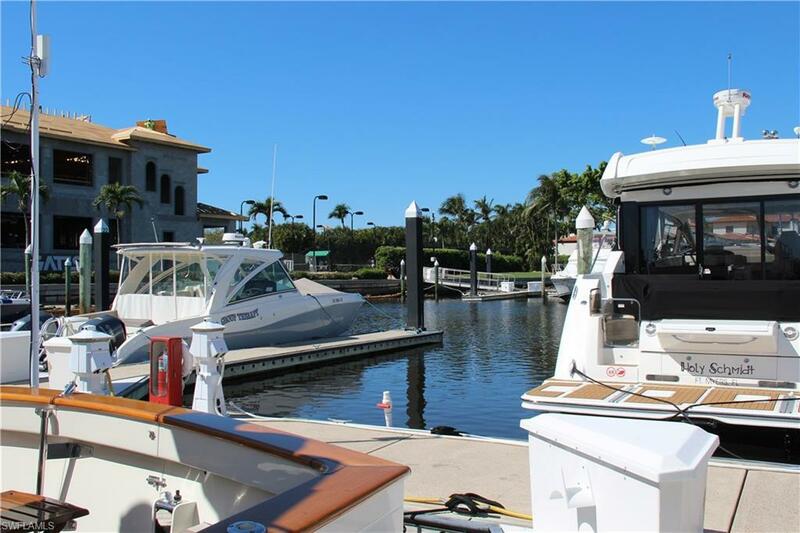 Gulf Harbour Marina offers full time staff, fuel dock, showers, and laundry. B-20 will accommodate a 51' vessel with approved variance, and maximum beam is 18'. Marina depth is 6 feet. All buyers should verify beam width with GH Marina staff if necessary to accommodate their vessel, as there have been variances in beam measurements from what was originally listed by developer (WCI Communities). Marina staff may verify with laser measurement. Listing courtesy of Jamie B Gates of Royal Shell Real Estate, Inc.
© 2019 Florida Gulf Coast Multiple Listing Service, Inc. All rights reserved. The data relating to real estate for sale or lease on this web site comes in part from FGCMLS. Data deemed reliable but not guaranteed.IDX information is provided exclusively for consumers' personal, non-commercial use and may not be used for any purpose other than to identify prospective properties consumers may be interested in purchasing. Information is deemed reliable but is not guaranteed accurate by the MLS or RE/MAX Radiance. Data last updated 2019-04-25T00:22:28.243. The data relating to real estate for sale on this limited electronic display come in part from the Broker Reciprocity Program (BR Program) of M.L.S. of Naples, Inc. Properties listed with brokerage firms other than RE/MAX Radiance are marked with the BR Program Icon or the BR House Icon and detailed information about them includes the name of the Listing Brokers. The properties displayed may not be all the properties available through the BR Program. The accuracy of this information is not warranted or guaranteed. This information should be independently verified if any person intends to engage in a transaction in reliance upon it. Data last updated 2019-04-25T00:25:26.29. Some properties that appear for sale on this website may no longer be available. For the most current information, contact RE/MAX Radiance, 239-707-7317, . Licensed in the State of Florida. The data relating to real estate for sale displayed on this Website comes in part from the Multiple Listing Service of the Bonita Springs-Estero Association of REALTORS®, Inc., under License No. 3035763. Properties displayed on this Website include properties listed with brokerage firms other than RE/MAX Radiance. Detailed information about such properties includes the name of the brokerage firm with which the seller has listed the property. The properties displayed may not be all the properties listed with brokerage firms participating in the Bonita Springs-Estero Association of REALTORS® Multiple Listing Service, or contained in the database compilation of the Bonita Springs-Estero Association of REALTORS® Multiple Listing Service. Data last updated 2019-04-25T00:28:19.143.